Sometimes I think far too much about what I’m doing, especially when I’m designing and I wish I could just get on and ‘do’ more. I had a lovely day yesterday with Angela from Cocoon Home, trawling fabric and trim shops across London (literally, I slept well last night, it felt like we covered the whole of London, by foot!) 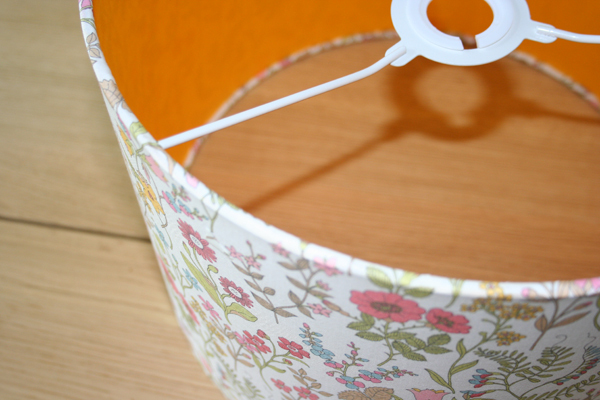 So today I decided to get on and make a lampshade from some fabric I’ve had sitting around for ages. 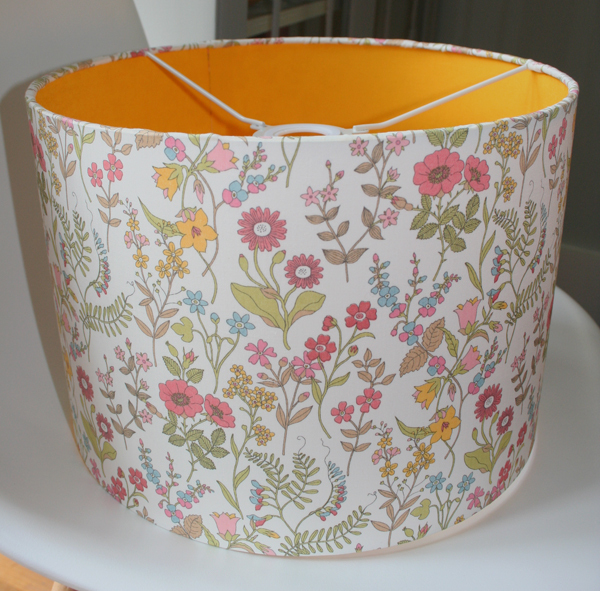 I bought this Liberty print to make a hand-stitched lampshade originally but it’s a bit too thin on it’s own so I decided to line a drum one instead. Now, the yellow is very bright; much brighter than I thought it would be when I bought it on-line (another good reason to go up to London more, much better to see and touch for yourself) but… it looks really striking with the subtle floral print on the outside and I’m really pleased with it. So it’s good to get out and about with someone who knows where they’re going and we found some brilliant shops and some that weren’t so inspiring (but useful for any size and colour zip!) I even managed to buy some lovely braid at a bargain price for an empire lampshade I’m making, more on that another day… Thanks Angela, it was a real treat! Let’s leave time for cocktails too next time! Billions of bilious barbecued blue blistering barnacles!